After leaving her ghost hunting days behind, Erin Gilbert (Kristen Wiig) is now working at Cambridge. As she is up for tenure, Erin’s past comes back to haunt her. Now, she finds herself teaming up with her former partner, Abby Yates (Melissa McCarthy) and Jillian Holtzman (Kate McKinnon), Abby’s new partner. The trio are hired to investigate a series of paranormal events. As business starts to pick up, due to a rise in hauntings, they are joined by Kevin (Chris Hemsworth), their dimwitted assistant, and Patty Tolan (Leslie Jones), a former subway worker who has first-hand experience with one of the ghosts. As more reports of ghosts come in, they discover that there is more going on than anyone realized. Now, they must stop the ghosts, and the person behind it all before the city, and all of humanity is destroyed. I feel that Ghostbusters was never given a fair chance to be a good movie. Everywhere on social media and every article about the movie was dooming it before it could get started. Many decried that making a female version would ruin the movie. In fact, I feel there is such unfair pressure on any movie with female leads, particularly comedies, to prove that women can be funny that the writers try too hard to make it funny. Many times, we end up with a sub-par movie, not because of the talent or lack thereof in the actors, but by a script that just ins’t solid. This, in turn, validates the critics saying women can’t lead a comedy. Such is the case with this film. Most of the stars of this movie have proven their worth as comedians, having started their careers on Saturday Night Live. The main characters, Kristen Wiig’s Erin and Melissa McCarthy’s Abby turn out to be fairly dull characters. They have a few funny moments, but surprisingly spend most of the movie as “straight women” to the other characters. They lack personality and chemistry. Leslie Jones, on the other hand, does much better in this movie than she does during the skits on SNL. Most of her characters on the show come off as screamy and obnoxious. Leslie tones it down quite a bit in the movie. The result is a funny, likable Patty. I was pleasantly surprised. Kate McKinnon, however, absolutely owns this movie. You can tell she really connected with the spirit of the movie. Her over the top lab assistant is a riot. Most of the laughs came from McKinnon. I loved her in this role. Chris Hemsworth is one of the weak links in the chain. His idiotic Kevin is funny. At first. But the gag carries on too long and starts to wear on you pretty quickly. I guess it’s fitting in a female led movie that the lone male character serves mainly as inept eye candy. Visually, the movie is a treat. I feel this is how Ivan Reitman, Dan Aykroyd, and Harold Ramis would have wanted to make their version. 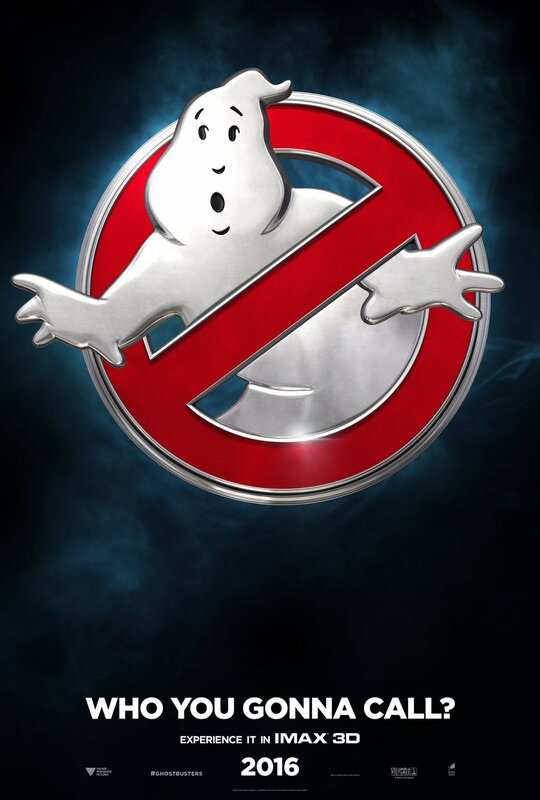 Everything about it, from the ghosts to the ghostbusting weapons, is well done. The story is where the movie falls apart. Aside from the character issues above, the story just doesn’t hold up. The main issue is with Rowan North (Neil Casey), the movie’s main villain and his motivation. It comes across as petty and silly. And that’s saying a lot for a movie about hunting ghosts. Writer Katie Dippold and writer/director Paul Feig don’t let you forget the inspiration for this movie. The movie is rife with throwbacks to the original. Unfortunately, most of these come across as forced pandering to legitimize the movie. A more subtle tribute to Harold Ramis is the lone moment that works as an homage. If they had either found a better way to incorporate these references, or even skipped them altogether, the movie might have been able to stand on its own. Much like last year’s Vacation remake, going into Ghostbusters, I felt it would be one of those movies that was really good or really terrible. Leaving the movie, I realized it was neither of those. It was just ok. I didn’t hate it. I didn’t love it. It just was. I’m glad they made it. I’m glad I saw it. But I would rather watch the original again. There is an end credit scene, another shout out to the original. Again, it’s just ok. I’ll let you decide if you want to wait through the credits for it.